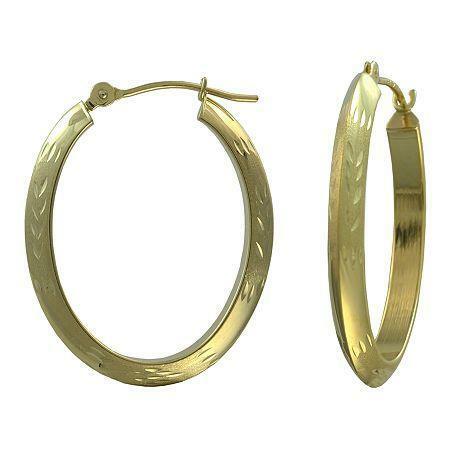 Classic 14K gold oval hoop earrings designed with a diamond-cut design for added sparkle. Made in America. Metal: 14K yellow gold Back: Hinged Dimensions: 21x22.75mm Jewelry photos are enlarged to show detail.